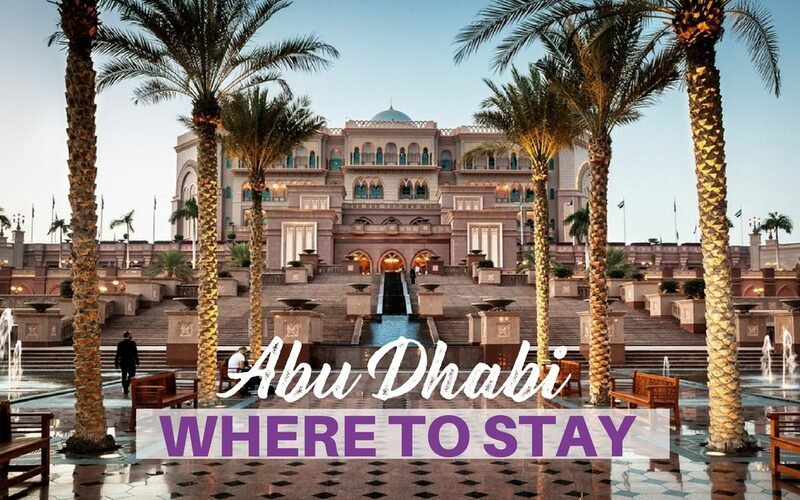 Planning to visit Abu Dhabi and wondering where to stay in Abu Dhabi? 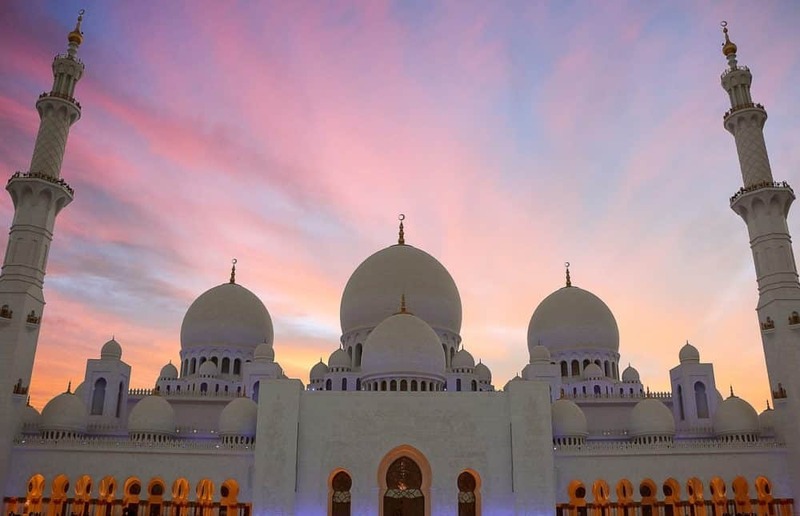 Here are my personal picks – the best places for each budget in Abu Dhabi. Abu Dhabi is often overlooked even though there is so much to see and do there! 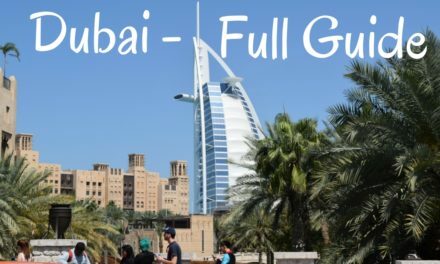 While nearly everyone knows Dubai, the actual capital of the United Arab Emirates (UAE), Abu Dhabi, is lesser known to the extent that, until not long ago, it was still a hidden gem. 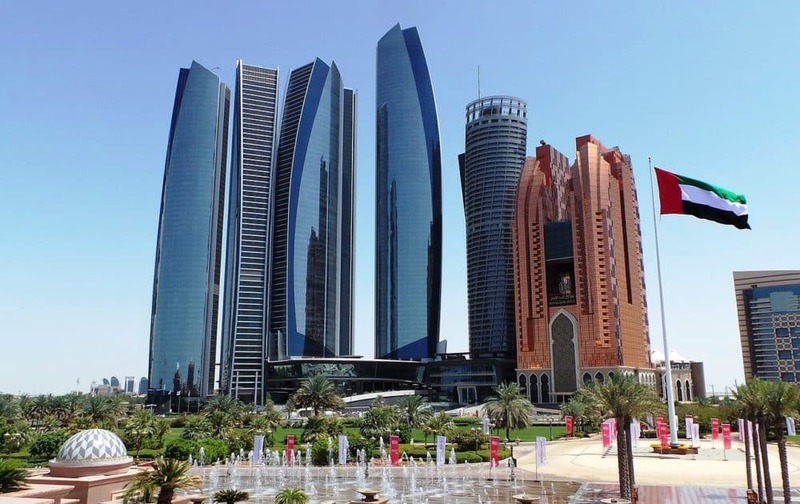 This has changed over the last few years and Abu Dhabi is becoming more and more popular with tourists and so it doesn’t come as a surprise that a lot of new hotels have been built. 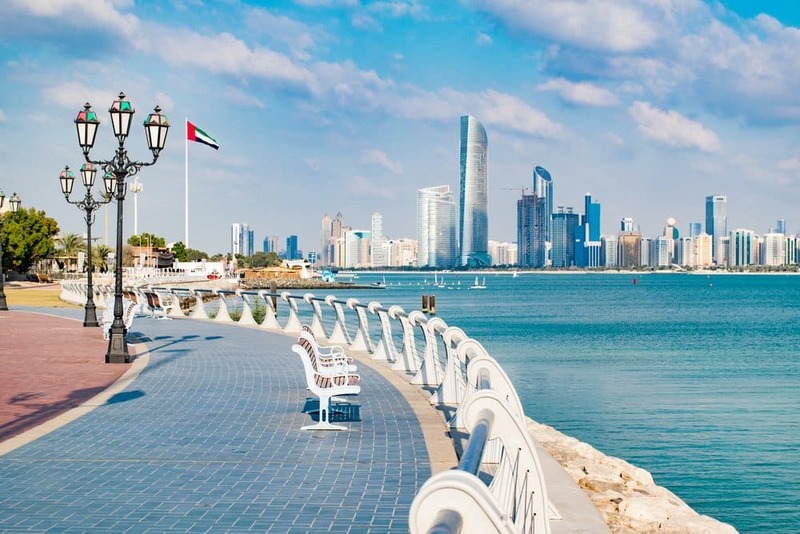 If you are looking for the perfect Abu Dhabi accommodation, from cheap hotels in Abu Dhabi to luxury hotels in Abu Dhabi, keep reading to find your ideal hotel in the perfect spot for your trip to Abu Dhabi. When booking a hotel in Abu Dhabi there are three things important things that you need to bear in mind. First of all, of course, is your budget. Are you looking for a budget hotel in Abu Dhabi, a five-star hotel in Abu Dhabi or a mid-range hotel? 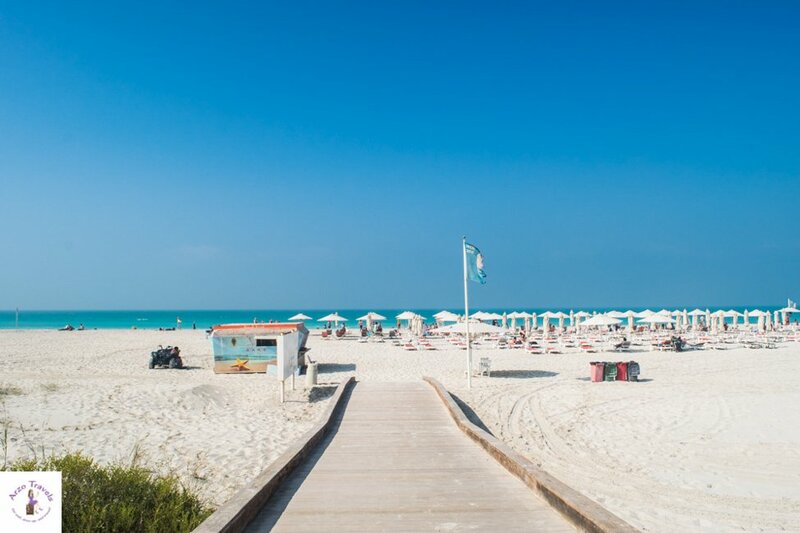 The second thing that you have to consider is whether you are looking for a family-friendly hotel in Abu Dhabi, a beach, or business hotel in Abu Dhabi? Your third consideration for your holiday to Abu Dhabi should be the location. While taking a taxi is cheap, the public transport system there still isn’t fully developed. 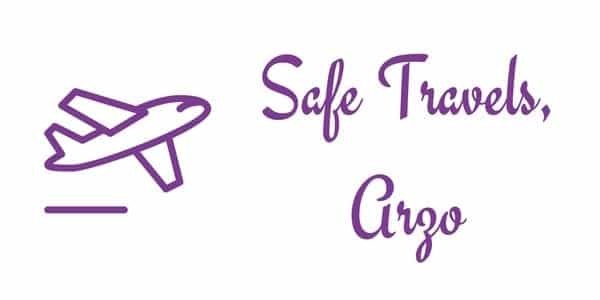 With this in mind you do need to think about which places you would like to visit the most often if you don’t want to spend a fortune on a cab (as mentioned, they are cheap by European standards but still…). One of the most famous and most popular areas to stay in Abu Dhabi is Corniche. 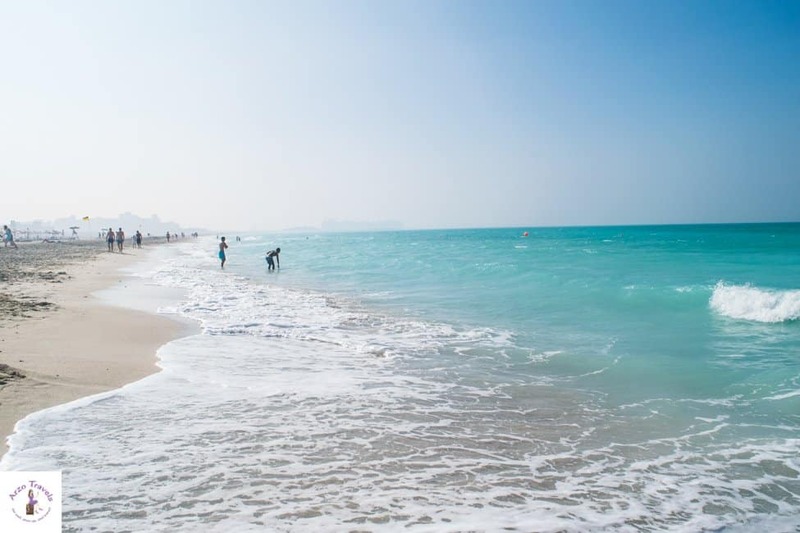 Corniche is a beautiful area right on the west coast of the UAE which is very modern and boasts a new promenade. There is still some construction work going on but despite all of the development, it has a lovely beach (not all of the beaches are public, some parts are only for hotel guests) and there are hotels both directly on the beach and throughout the Corniche area. Getting to Corniche beach from this area is quick and you can either walk, take the bus or get a taxi. Abu Dhabi’s most important landmark, the Grand Mosque is about a twenty-minute drive away from here so you should reserve around fifteen euros for that if you want to go and see it. Neither choice will disappoint as it is one of the best places to stay in Abu Dhabi if you want to get to many other of Abu Dhabi´s landmarks quickly. 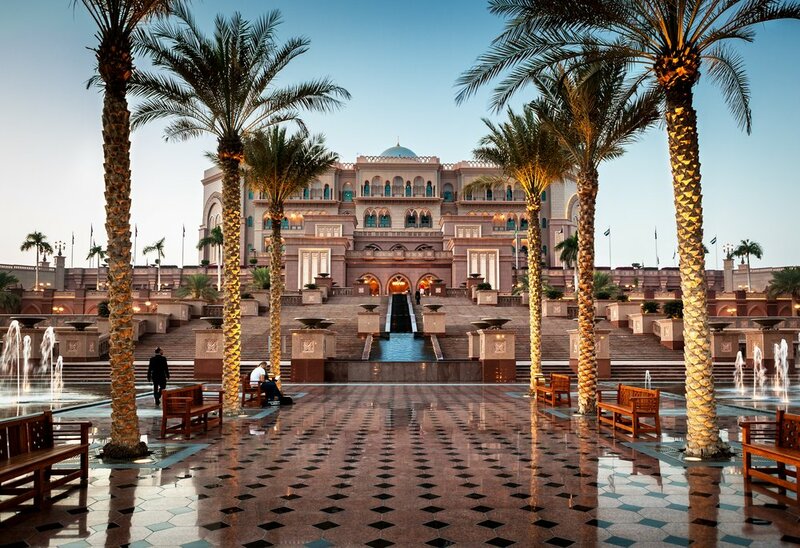 The Emirates Palace is one of the most famous and most expensive hotels in the world. This luxurious 5* Kempinski hotel has 394 luxury rooms and suites and it is not only one of the most iconic places in Abu Dhabi but also one of the most iconic hotels in the region. 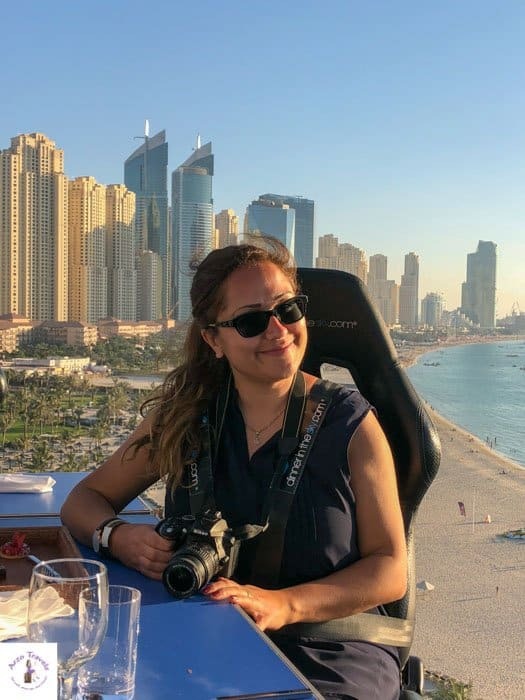 All guests are spoilt with views of the Persian Gulf or the Abu Dhabi skyline, guests have several pools to relax, direct beach access (this area is of course a private section of the hotel) and there are several amazing restaurants with different cuisines. While there are many great and secluded areas, it changes once you step out for the hotel – this area is one of the best places to stay at. Especially at night it gets busy and adds more beauty to this hotel and area. Jumeirah at Etihad Towers Hotel is a multi-award-winning hotel located by the beach that provides stunning views of the Arabian Gulf, especially if you head up to the Observation Deck on the 74th floor. Usually, you have to pay to go and admire the views here as it is the highest observation point in Abu Dhabi, but if you’re a guest, it’s free. The hotel consists of 382 luxurious rooms and suites, and some world-class restaurants and bars as well as three swimming pools and the hotel’s secluded private beach. If that’s not enough for you, Avenue in Etihad Towers gives you a wide choice of high-end outlets if you’d like to do some shopping and their Talise Spa is a great place to relax afterwards. If you would like a view of the Corniche combined with top class service then St Regis, Abu Dhabi might be a good choice. As well as the stunning views, each of the hotel’s 283 rooms come with complimentary butler service. Their popular Remede Spa provides a variety of treatments and a nourishing menu of drinks and snacks all in a serene location overlooking the hotel’s own 200 meter stretch of beach, the turquoise waters of the Arabian Gulf and the hotel gardens. 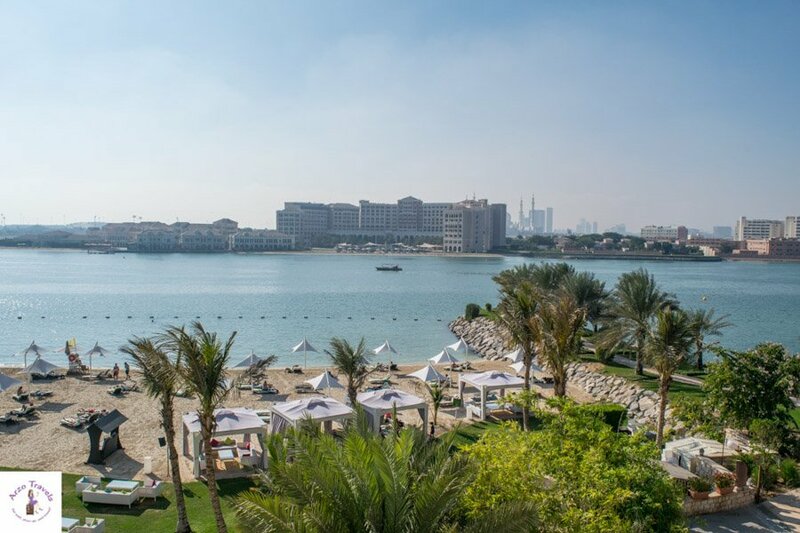 As well as its own marina, The Intercontinental also has that Abu Dhabi must, a private beach! Many visitors have great views of the marina and beachfront gardens from their room and there’s no shortage of restaurants to choose from, so you’re sure to find something that you love. What’s more, the hotel’s Bayshore Beach Club provides lots of activities including water sports for those who are feeling active, an infinity pool, and a splash pool with slides that’s great for kids. Another hotel overlooking the Corniche is Sofitel Abu Dhabi. This luxury 5-star hotel also overlooks the Corniche and is just a 30-minute drive from Abu Dhabi airport. Included in your stay is use of a shuttle bus that will take you to Marina Mall, Yas Island or direct to the beach. Its architecture and 280 rooms are designed with a modern feel and a French Art Deco twist. Of course, it also has all mod cons such as free Wi-Fi, pool, gym, and spa and is very popular with couples. Aparthotel Adagio boasts a central location in Abu Dhabi – in between the Grand Mosque and Corniche. Due to this handy location you can be anywhere within a few minutes. It is known for being very clean, quiet and spacious and shares a great pool and spa facilities with the Novotel hotel next door. 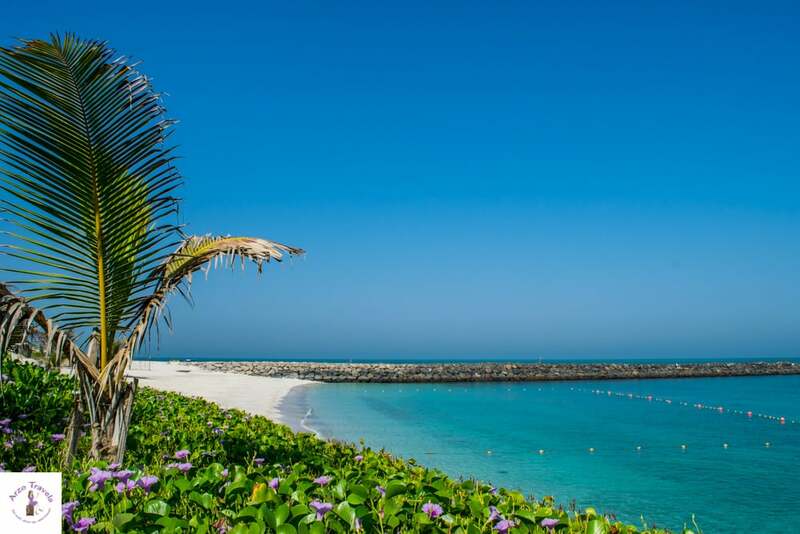 Saadiyat Island with its many luxurious, expensive looking properties is one of the most beautiful areas in Abu Dhabi, and the beach is top notch too! The few hotels here are all luxury hotels and they provide access to a private beach ( a part of Saadiyat Island is public even though there is a 5€ ($6) charge for the day but if you want to enjoy some of the most beautiful beaches around in a gorgeous, secluded setting, Saadiyat Island has some of the best hotels in Abu Dhabi. Since the Louvre museum opened at the end of 2017 it is one of the very few attractions in this area, and so it is a quiet place that is one of the best places to relax in Abu Dhabi. St Regis Saadiyat Island Resort is ideally located on the beachfront, ten minutes away from the city center and just 20 minutes from Abu Dhabi Airport. 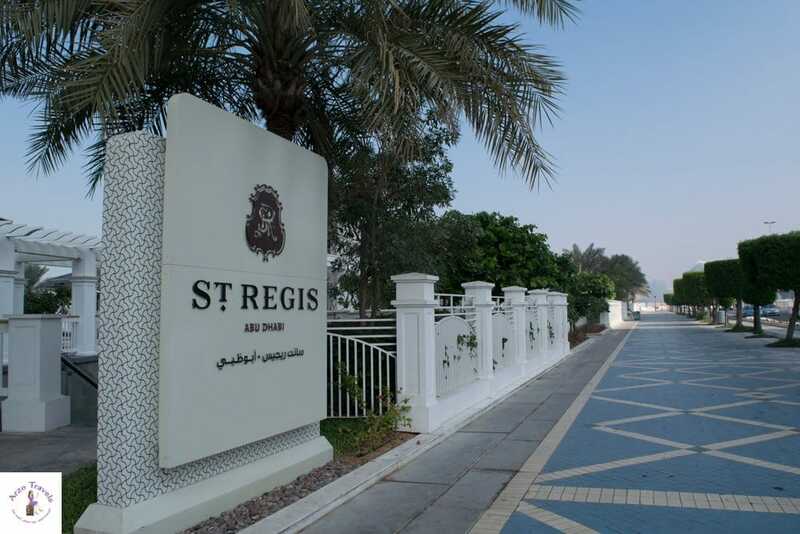 As would be expected from its island location, the St. Regis is known for being perfect for beach lovers with its private beach being thought to be one of the best in the UAE. If this isn’t your cup of tea it also has three outdoor pools and 5 restaurants. This new hotel is known as one of the best ones in Abu Dhabi and if you stay there you will surely not be disappointed. The Park Hyatt Abu Dhabi is great for families, couples and lone travelers alike. If you’re after a relaxing vacation there are gardens surrounded by palm trees and one of the largest pools in Abu Dhabi. For families, there is Camp Hyatt that hosts fun and interactive activities for younger guests to enjoy while parents can take a break and enjoy the spa. It’s also in close proximity to a range of nightlife and the staff are known to be extremely accommodating too which we all know to be a very important detail! The most secluded and exclusive area to stay is Zaya Nurai Island which can only be reached by a twelve-minute boat ride. 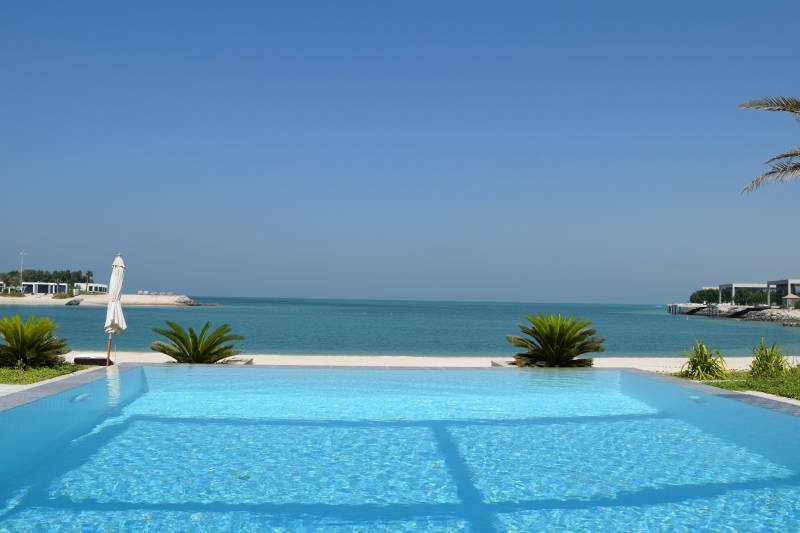 Take it from me, Zaya Nurai Island is a very beautiful private island and just one the best place to stay in Abu Dhabi. Though day tickets are sold for people who don’t wish to stay there overnight, it is mostly for hotel guests and the beaches are incredible! There is lots to see and do too so you can easily stay for two nights and not get bored. You can try your hand at water skiing, jet skiing or surfing and when you’re worn out from all of that there are restaurants, a spa and several pools where you can relax, unwind and have fun. If you stay at the Zaya Nurai resort most rooms have their own private beach section and private pool so it doesn’t get much more secluded than this, even compared to other Abu Dhabi luxury hotels! 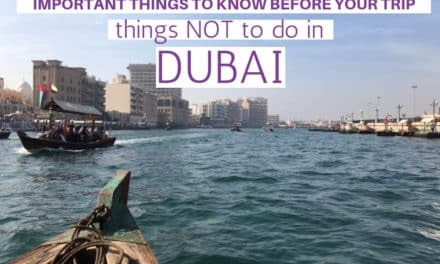 Getting off the island is a little bit more difficult so if you want to see a lot then I recommend staying longer in Abu Dhabi, perhaps a maximum of two nights on Zaya Nurai and then checking in at an Abu Dhabi hotel that is more centrally located. Situated around 120 kilometers south-west of Dubai is Yas Island. Yes Island is not only home to some of the top hotels in Abu Dhabi but also of Abu Dhabi’s Marina Circuit Ferrari World, one of the biggest theme parks in the world. The only downside is that it is quite a bit further away from landmarks like the Emirates Palace which is located in North Corniche. If you are any kind of Formula 1 fan or petrol head then you’ll love Yas Viceroy Abu Dhabi. Located in the center of Yas Island the hotel hovers over the Yas Marina Circuit, the favorite racetrack of many F1 legends. If you like to be woken to the sound of race cars whizzing around underneath you instead of songbirds then this is a really fun experience. After this you’re really close to Ferrari World, (the world’s largest indoor theme park!). Being in the heart of Yas Island, it’s also right by Yas Mall, Yas Beach, and Yas Waterworld among many other great attractions and the hotel provides a complimentary shuttle bus service to all of the main attractions. Another Yas Island hotel, the Radisson Blu, is close to Abu Dhabi city center and only 15 minutes away from Abu Dhabi Airport. 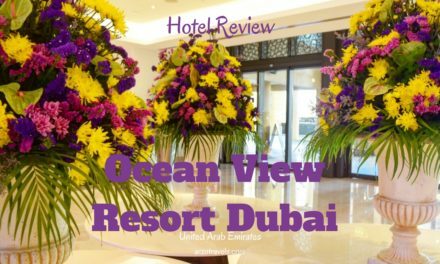 While it is still close to all of the Yas Island fast-car related attractions, this hotel is known for being a little more tranquil then Yas Viceroy with its peaceful atmosphere, including a special relaxation zone in the pool for adults only. Of course, nearby you also have Yas Beach and top class golf course, Yas Links or if you feel like staying on site there is a spa, fitness center, and tennis courts too. As this beautiful sight is one of the main attractions in Abu Dhabi, I can understand the urge to need to stay in this area. 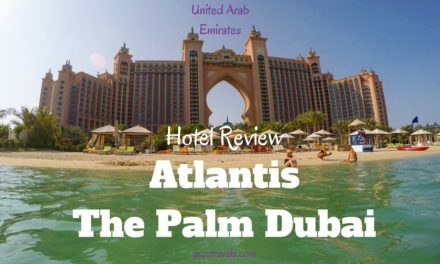 If you want to stay closer to the Grand Mosque and enjoy a great view of it I would recommend that you stay at the southern end of Abu Dhabi which is where I stayed, at the Traders Hotel. Getting to Corniche takes about 10-15 minutes by tax and costs about 12€ for one way. This 5-star hotel is located at the gateway to Abu Dhabi and gives great access to the city center and Abu Dhabi Aiport. It is said to boast some of the best views of the Grand Mosque in Abu Dhabi from both the rooms (make sure you ask for the view when booking) and its private beach and if you like to go for a wander on foot it is close to a popular local souk and many independent speciality shops where you can also take a leisurely boat ride down winding canals as though you were in Venice. 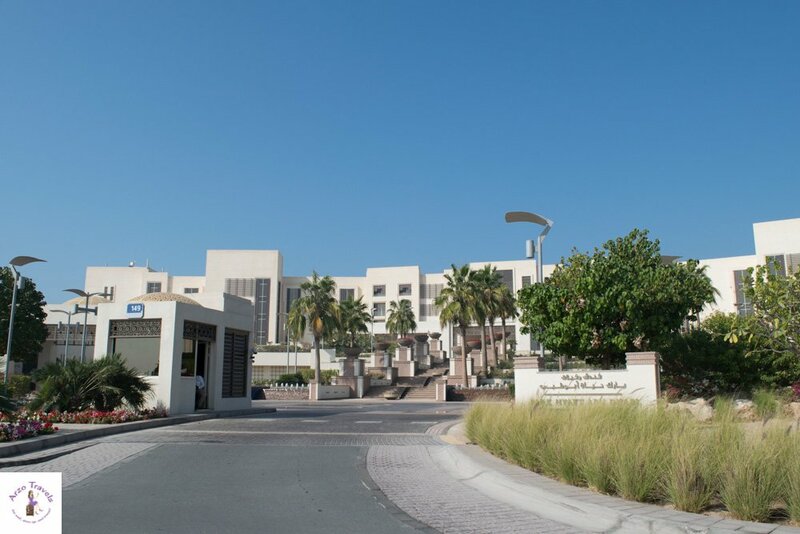 Traders Hotel can be found on the beachfront between the two bridges of Al Maqta and Mussafah leading into Abu Dhabi and just ten minutes from Abu Dhabi Airport. As well as having its own small private beach with plenty of sun loungers and free towels there’s also a gorgeous garden to walk through towards the nearby souk where there’s lots of bars, cafes, and restaurants to while away your time when you’re not on the beach. This hotel has its own little souk, a beautiful long stretch of private beach with nice views and friendly staff and even a little supermarket. Don’t miss the gorgeous night-time views of the Grand Mosque from here either!